Autosports fans unite! 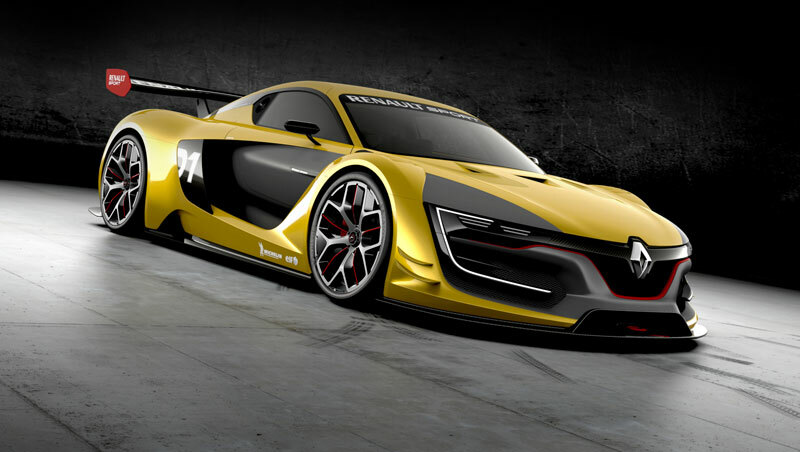 Renault Sport R.S. 01 displays some dreamy measurements: a weight of less than 1,100kg, a 2,000mm-width and height of 1,116 mm. Installed in a central rear position, its Nismo V6 3.8L twin-turbo engine (fitted on the Nissan GT-R) developing more than 500 hp -with maximum torque of more than 600 Nm, is mated to a Sadev seven-speed sequential gearbox. With carbon brakes and special Michelin tires, Renault Sport R.S. 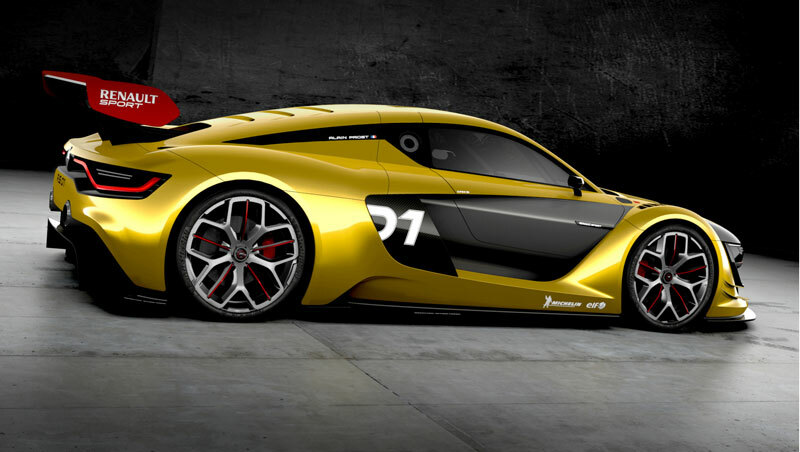 01 embodies the full technical expertise of Renault Sport Technologies. 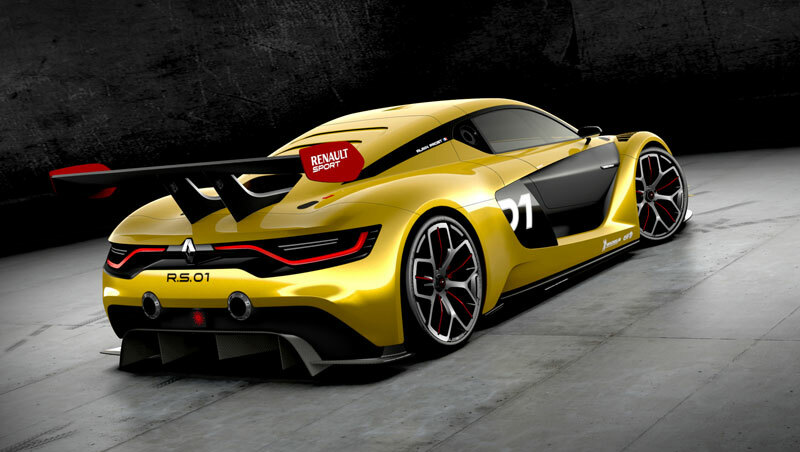 This positions Renault Sport R.S. 01 between a GT3 and a DTM in terms of performance. Its CI (lift coefficient) and CdA (drag coefficient) are similar to those of a Formula Renault 3.5. At the top speed of 300 kph, the downforce of 1.7 metric tons is equivalent to that of a Formula Renault 3.5, the benchmark single-seater in the World Series by Renault. Design-wise, like all the Renault vehicles designed under the management of Laurens van den Acker, Renault Sport R.S. 01 displays a prominent logo, the key feature on the front end. Its impressive width -of 2,000 mm, is reinforced by the signature of the LED daytime-running lights positioned along the brake cooling scoops. If we had to sum up Renault Sport R.S. 01 in a few words, we could describe it as a marriage between the beauty of Renault DeZir and the performance of Formula Renault 3.5! - Patrice Ratti, CEO of Renault Sport Technologies. This new race car will compete in the Renault Sport Trophy championship, an event built to measure. This one-design series, which will be part of the World Series by Renault from 2015, will be a new opportunity for “Pro-Am” teams, and a gateway to the GT, DTM, ELMS and WEC championships. The 2015 season will be open to twenty “Pro-Am” teams, classified according to the rules of the FIA World Endurance Championship (WEC). At World Series by Renault meetings, competitors will be able to maximize their time on the track by taking part in a real monotype championship called Renault Sport Trophy. The champion in the “Pro” category will have the chance to follow a complete development program (simulator, physical preparation, media training, etc.) prior to taking a rookie test with the official Nismo team for the Super GT in Japan. If he has the qualities required, he will be able to pursue his career in this extremely competitive discipline.